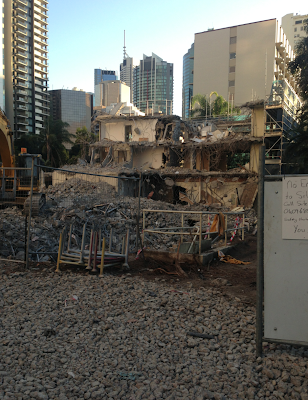 Sunland has cleared their site on the corner of Alice Street and Albert Street. The old apartment building there has been demolished. Sunland is now building a fancy display suite, for Abian Apartments. Rumours are that there will be few apartments in this building, with no one bedroom apartments. Most apartments will be aimed at owner occupiers, and will be large. The building is in a great location. It will impact the two bedroom apartments in Quay West which overlook this site. 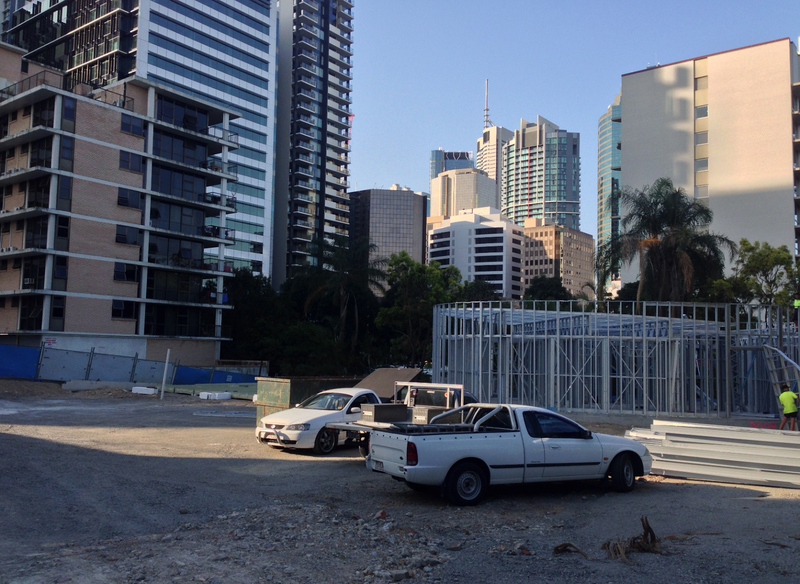 Recent photo of display suite being constructed, from same position.